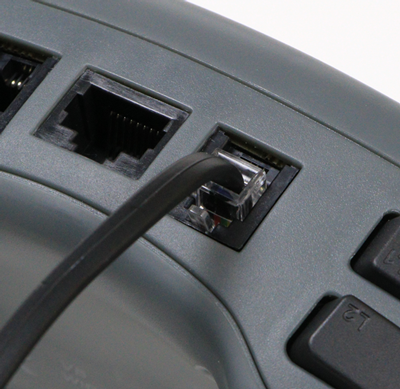 Step 1: Connect a V5 Smart Cable to your V5 Controller. 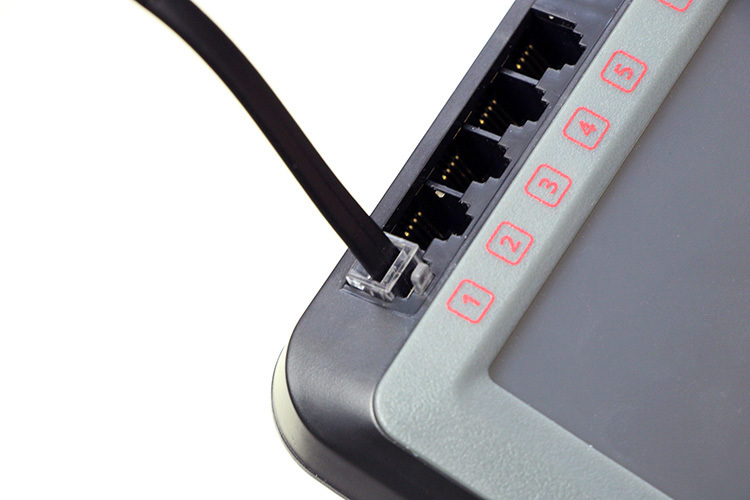 Connect one end of a V5 Smart Cable to one of the Smart Ports located on the top of the V5 Controller. Step 2: Connect your V5 Controller to your V5 Robot Brain. Connect the opposite end of the V5 Smart Cable into any open Smart Port on the V5 Robot Brain. Step 3: Power on your V5 Brain, if it is not already powered on. Make sure your V5 Robot Brain has a charged V5 Robot Battery connected. Press the Power button on the V5 Robot Brain to power it on if it is not already turned on. Step 4: Confirm the firmware update. 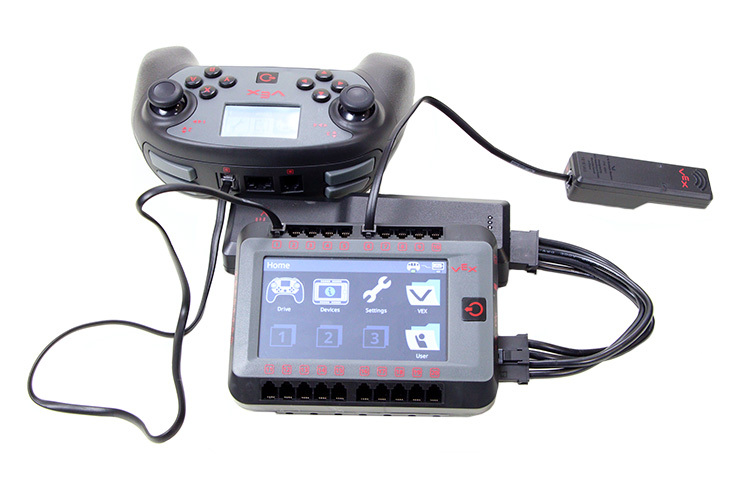 If your V5 Controller's firmware is not current to the firmware on the V5 Robot Brain, you will see this screen. 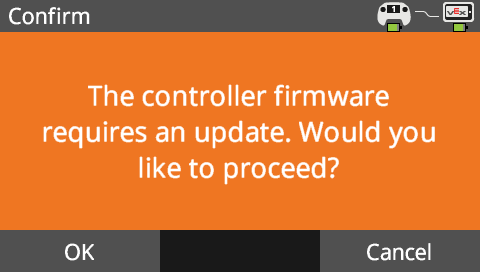 Press OK to begin the firmware update for the V5 Wireless Controller. 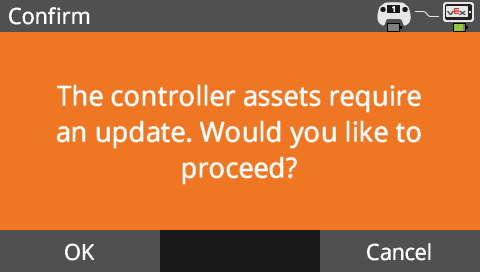 You may also be prompted to update the controller assets. If so, press OK a second time.